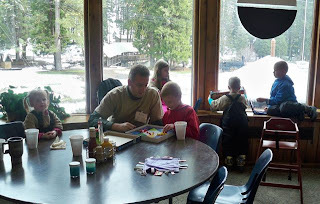 We just spent this past week at "Spring Home School Family Camp"! Yes, I said spring. No, we did not travel to Colorado for camp, we were in the Sierra Mountains. It snowed almost the entire time we were there! Thanks to the heads up from the Jenness Park staff and Rob checking the weather as well, we were prepared for the snow. activities that everyone had hoped to do, we still had a wonderful time. 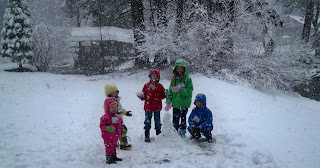 The kids thought the snow was just wonderful and spent as much time as they could playing in it. 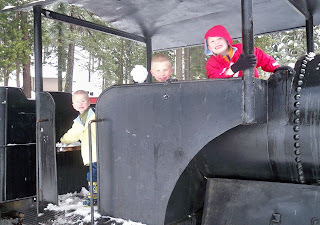 They had fun building snowmen and there were snowball fights breaking out all over the place! 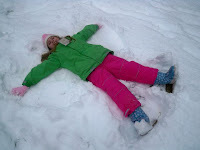 Miss E enjoyed making some snow angels too. The staff at the camp was great! They kept as many of the outdoor recreation activities as they safely could going. 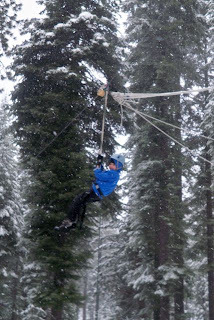 Miss E and Mr. M got to do the zip line and they loved it! Mr. R was not to sure about it, so he passed on it. Mr. S just could not make the hike up there in the snow, so he had to skip it. Our speaker for camp was Dr. Tommy Mitchell from Answers in Genesis. He did some wonderful talks on Creation, Genesis, Noah's ark and similar subjects. We all learned from him, right down to Mr. S (maybe Miss J picked a few things up too?)! Music worship was led by The Wintons who do gospel bluegrass, we were so blessed by their music and their testimony! CVP put together this camp and did a GREAT job. 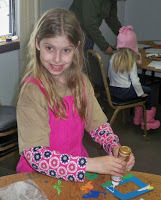 They had so many crafts, activities and learning stations going, we had plenty to do while inside keeping warm. 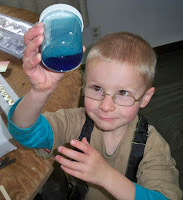 We got to make an ark, dinosaur fossil, ark in a jar, and paint rocks. Some of their older youths from CVP put together a great running skit about life on the ark that was truly a highlight of the camp experience. We were blessed to meet so many wonderful families at camp and we all made some great friends that we are looking forward to seeing again soon! We also had some nice time together just hanging out playing games and enjoying each other's company. The last night we were there they did a talent show. Mr. S asked if he could be in it. He wanted to show off his trick thumb and tongue! 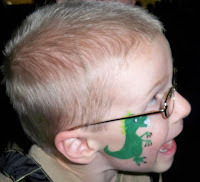 He was so proud of himself and was asked by many kids to show it off over and over again. The kids volunteered Rob to be in a skit, he got to be a police man and show of his "whistle". 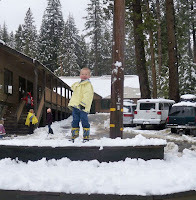 Though the snow made things a bit harder with the little ones I sure enjoyed my time at camp. 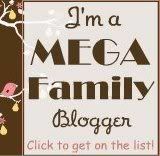 I was able to relax and enjoy my kids without having to worry about cooking and cleaning (by the way the food was good)! I enjoyed the fellowship with other moms and their families. 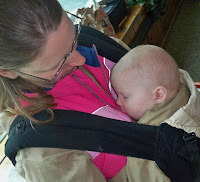 Miss C was not so sure about camp and was a bit fussy, but I'm sure she loved being held nearly the whole time! Miss J was often heard saying "like camp". All of the big kids had a great time and can't wait to go back. 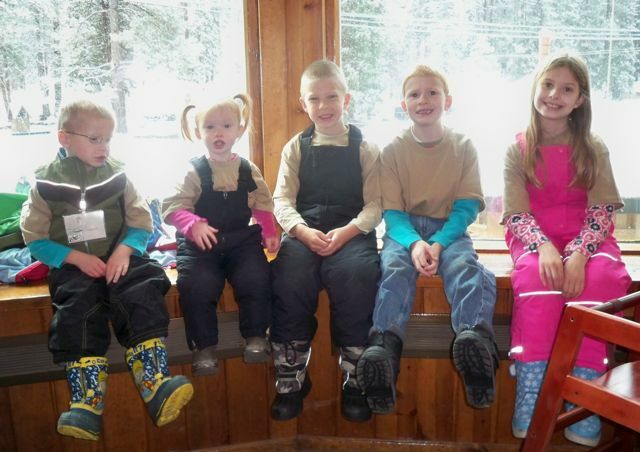 Miss E was wishing they had a summer family camp so we would not have to wait until fall to go back! This was our first time going to camp, and the whole experience was such a blessing to us! 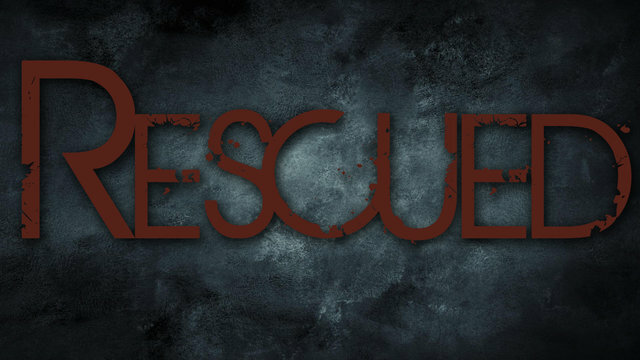 We are looking forward to going back this fall. Maybe we can skip the snow though?